Designed to complement the styling of your Indian! 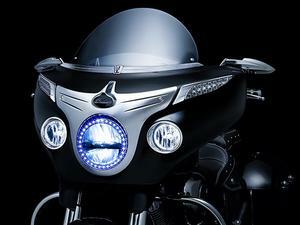 IHB-82: This Headlight Bezel transforms Indian 2014+ Roadmaster or Chieftain outer fairings with its sharp lines, smooth contours and sculpted headlamp visor for a true custom appearance. Bolt it on reusing factory hardware and you have a completely new look in minutes. IHB-94: Similar to above but in Satin Black. Satin Black finish can be easily prepped and painted to match custom color themes. 5670: Accentuate the classic curves found on Indian hard saddlebags with this four-piece Saddlebag Top Trim accent (two pieces per saddlebag). 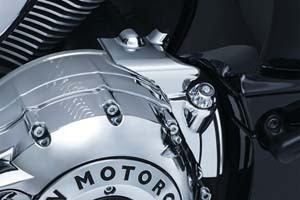 Chrome-plated ABS with easy peel-&-stick installation creates flowing chrome contours that complement the OEM saddlebag trim. 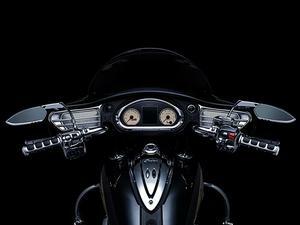 Fits all '14 - '15 Indian Chieftain & Roadmaster Models. 5690: L.E.D. 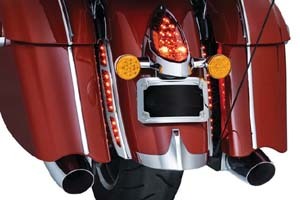 Rear Fender Strip Lights look great on Indian models with or without saddlebags. Red lenses house ultra-bright L.E.D. 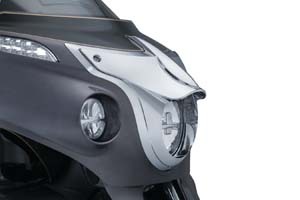 's that function as additional run-brake lighting to significantly enhance visibility from behind. 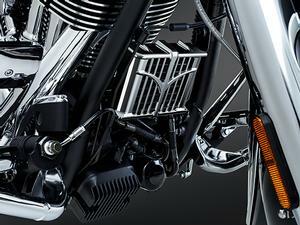 Classic-looking chrome-plated ABS housings designed to coordinate with factory chrome trim on the rear fender complete this functional and stylish package. Features red lenses with chrome-plated ABS housings. Offers additional run-brake lighting. Easy peel-&-stick installation using high-strength 3M® VHB™ adhesive. Plug-&-play wiring. Fits: '14-'16 Indian Models (except Scout). 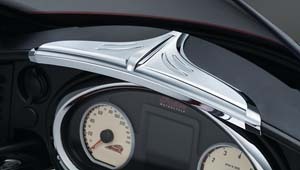 5631: Carry the classic styling found on outer Indian fairings into the cockpit with this easy-to-install Top Dash Accent. 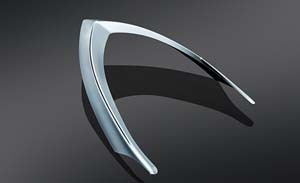 This chrome-plated ABS accent incorporates the same raised center and grooved scallop features found above the OEM headlight housing. A simple peel-&-stick application that creates the perfect complement to the stock gauge cluster trim and speaker grills for Indian (p/n 5630). 5620: Windshield Trim. 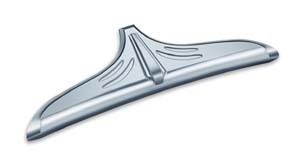 Class up the top edge of your fairing with this easy to install Windshield Trim designed specifically for the Indian Chieftain. Fit MY '14 Indian Chieftain models. 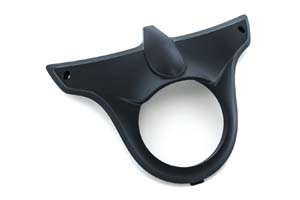 5621: Fairing Turn Signal Trim. 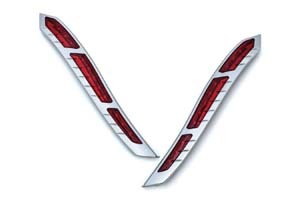 Continuing the design-line from the OEM Chrome panel to your turn signals on the front of the Chieftain, these peel-&-stick trim pieces are sure to take your ride to the next level. 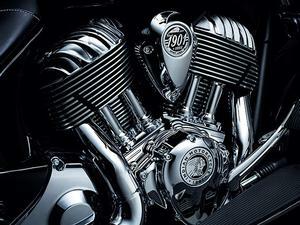 Fits MY '14 Indian Chieftain. 5622: Driving Light Bezels. 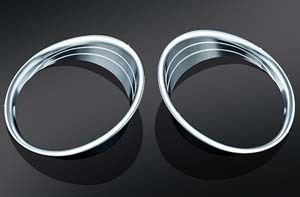 Add a bit of chrome in an often over looked place with these Driving Light Bezels for Indian. 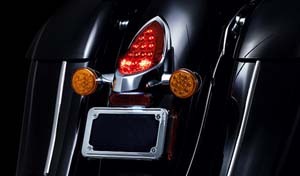 Made of light weight ABS plastic these simple to install accents will add a unique touch to your Indian's driving lights. Fits MY '14 Indian Chieftain. 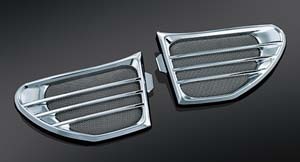 5630: Speaker Grills. 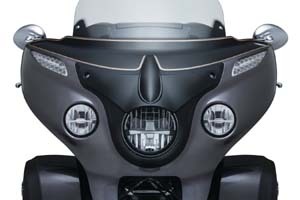 Designed to complement the styling of your Indian Chieftain's inner fairing, these easy to install speaker grills will set your bike apart from the pack by adding just the right amount of chrome to your inner fairing. Fits MY '14 Indian Chieftain. 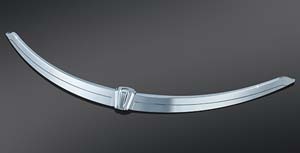 5641: Chrome Tappet Block Accent. Finish off the OEM chrome with this simple to install Tappet Block Accent. 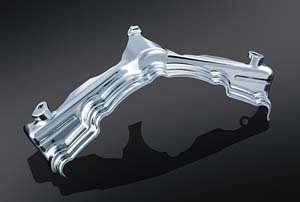 The unique design creates a unique transition from cylinder head to motor block. Fits all MY '14 Indian models. 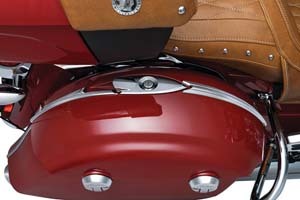 5644: The Rear Oil Panel Accent for Indian is a classic chrome cover that surrounds the oil filler cap and coverts the wrinkle black base of the motor to gleaming chrome. 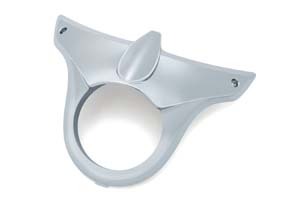 Made from quality die-cast aluminum. Easy installation using high-strength 3M® VHB™ adhesive, Fits '14 - current Indian Models (except Scout). 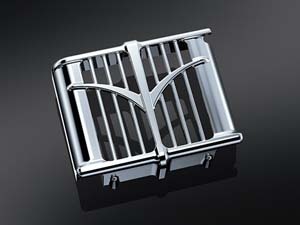 5640: Oil Cooler Cover. Designed to mount directly over the oil cooler on your Indian, this simple to install cover provides the perfect jumping off point for customizing your bike. Fits MY '14 Indian models. 7697: Some parts just design themselves! Where Indian left off, this product picks up. 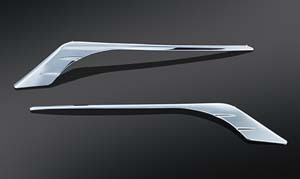 Chrome-plated ABS and simple peel-&-stick installation make this part a must have for any Indian owner. Fits all Indians MY '14 to current.